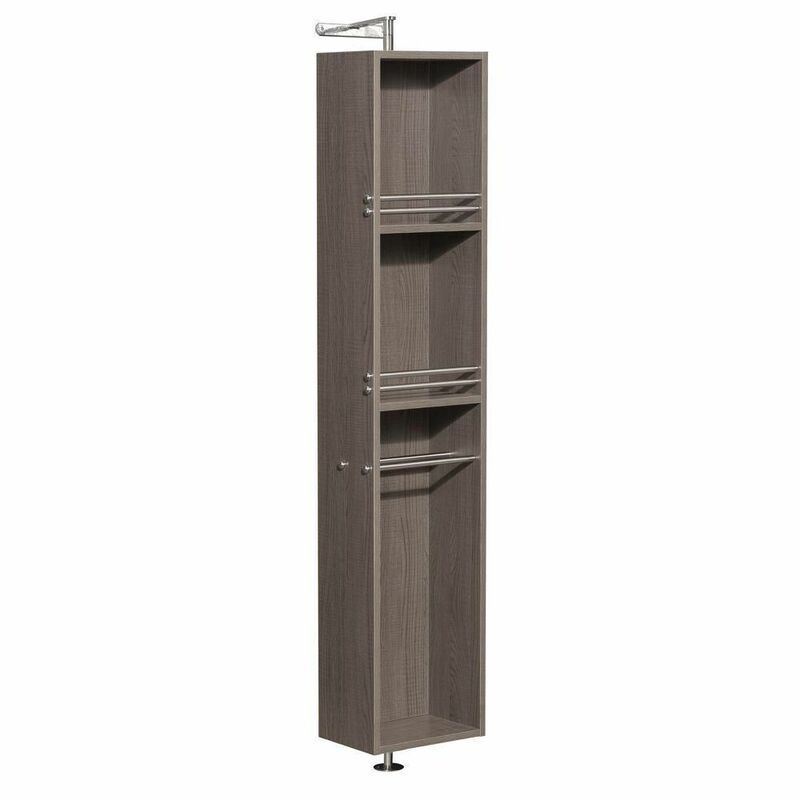 Amare 13-3/4-inch W x 73-inch H x 15-inch D Bathroom Linen Storage Cabinet in Grey Oak The Amare rotating wall cabinet with mirror takes modern looks and bathroom storage to the next level with its clever design. Featuring a space-saving design which rotates 360 degrees. This cabinet combines a full length mirror on one side with three large storage spaces and integrated towel racks on the other. This unit mounts to the floor and wall and metal mounting hardware is included.